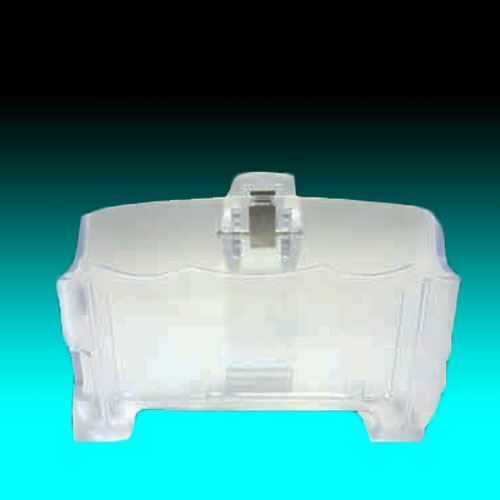 A belt clip is the standard accessory with the POCSAG and FLEX WP pagers, but the clear plastic horizontal holster with integrated belt clip can be used as an alternative carrying case. The heavy-duty Plastic Holster is designed to protect the pager LCD from any accidental damage. The clear plastic feature allows the user to still read messages while the pager is in the holster. The pager control buttons can be used with the pager in the holster. The cutout section at the bottom of the holster allows the user to push the WP pager out of the case for easy removal. Damaged or lost Birdy WP Plastic Holsters can be replaced.